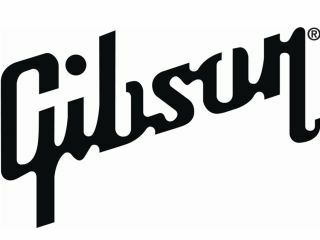 Gibson Guitar issued an official statement today denying that the company has "participated in any scheme to artificially inflate or fix prices" for its musical instruments. "Gibson Guitar Corp. is one of many manufacturers and organizations in the Musical Instrument Industry that has been named a party to approximately 30 lawsuits that claim they conspired to artificially increase and fix the prices of musical instruments. These lawsuits stemmed from an investigation by the Federal Trade Commission that lasted several years and was not pursued by the FTC after they concluded the investigation. "The allegation that Gibson participated in any scheme to artificially inflate or fix prices is wholly without merit. Gibson strives to provide customers with the best musical instruments in the world and to build lifelong relationships with musicians who choose the Gibson brand. "Gibson believes in the American system of justice and believes that, through that system, the claims against Gibson will show to have no merit. Unfortunately, that process will undoubtedly result in high costs to many organizations that, like Gibson, strive to provide music lovers everywhere with quality instruments and aggressively compete on price. They provide true and accurate information to their consumers, and continue to innovate and provide great value in product offerings overall." According to the Nashville Business Journal, the FTC had investigated the National Association Of Music Merchants after it was accused of orchestrating meetings during which manufacturers exchanged information about pricing and business strategies. The association (NAMM) denied the allegations but later settled with the FTC and accepted an order to refrain from activities that could violate antitrust laws. In addition to Gibson and the National Association Of Music Merchants, the lawsuits also name Yamaha, Fender and Peavey. "The cases have not been fully consolidated yet, so there's very little to discuss at this moment," Ronald S. Bienstock, attorney for Peavey, told MusicRadar.